Anti-inflammatory teas are excellent for reducing water retention. They aid in many different contributing factors when it comes to water retention and swelling, thus making them extremely beneficial. Hearbal teas often contain anti-inflammatory remedies and have been used for many years as a natural treatment for water retention. Echinacea is good for more than just boosting your immune system. 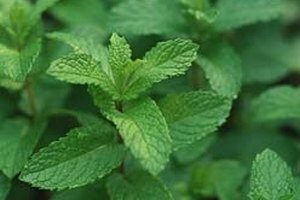 It also carries anti-inflammatory properties and can be drunk as a tea to reduce swelling. 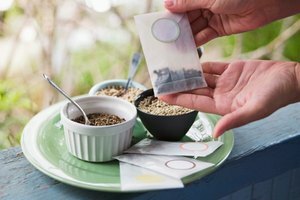 It can produce somewhat of a mild cortisone effect and can be mixed with other herbs and teas for a tasty treat. Echinacea is a perennial plant that can easily be grown in your garden. It produces purple cone-shaped flowers and is pleasing to the eye, as well as making a tasty tea. Licorice has anti-inflammatory effects and can add a nice bite to your drink. It's a very effective anti-allergic and can be beneficial in reducing swelling. It has a unique taste that many people find to be warming and uplifting. It also helps support lung health and promotes adrenal gland function. 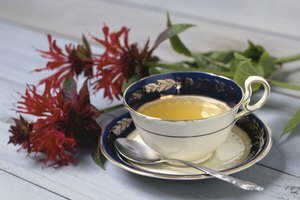 In addition to reducing swelling, licorice tea can also benefit a sore throat. Licorice can be added to several different teas, as well as foods to help reduce swelling. Turmeric has been used for literally centuries because of the anti-inflammatory properties. Mixing it with Egyptian Calendula as a tea can help reduce pain and swelling throughout the body. Both Calendula and turmeric were used for anti-inflammatory purposes during the civil war. Calendula thrives throughout Egypt and usually has to be special ordered, but it is the Egyptian version of the marigold flower. Turmeric is also a natural antioxidant. It can be used to treat skin conditions, as well as to reduce swelling. 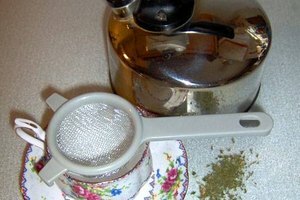 Teas can be purchased locally at a health food store, or you can dry your own herbs (depending on your level of interest) to save on some money and to get a fresher herb. Green tea is always a good choice for reducing swelling, particularly if you don't like to drink strong teas. In addition to water retention, green tea has weight loss benefits. It increases your metabolic rate, which in turn causes you to burn calories.